Here is an example of one of my games, I will post more soon! Keep Reading to learn more about how my class is structured and assessed during spelling time. I use Daily 5 as a guide for structuring my reading workshop. 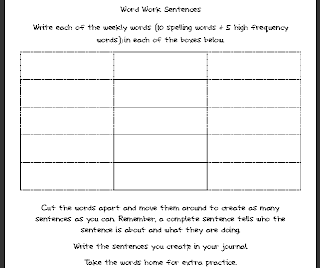 One of the daily choices for students is Word Work, where the students work independently to practice the weekly spelling words, vocabulary, or high frequency words...whatever it is you choose to use in your class. Our district uses Open Court for ELA instruction, so I use the spelling words that go with that program...I will also be having my students work with high frequency words that they still struggle with. 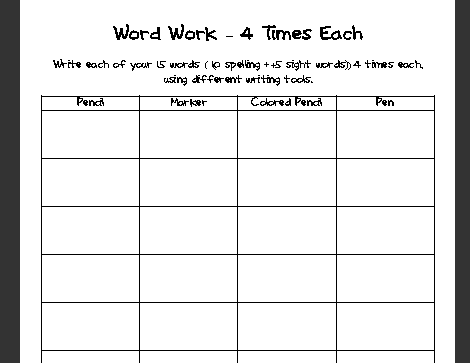 I will assess all the students and then each student will use their own misspelled words to create a list of weekly words. 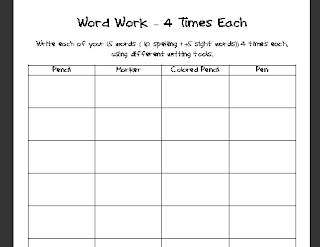 To read more about how I will be assessing my students individualy on high frequency words, check out Beth Newingham's Scholastic Blog...she is amazing! This is my first year using the high frequency word assessments and student generated lists, and I am really excited about it. 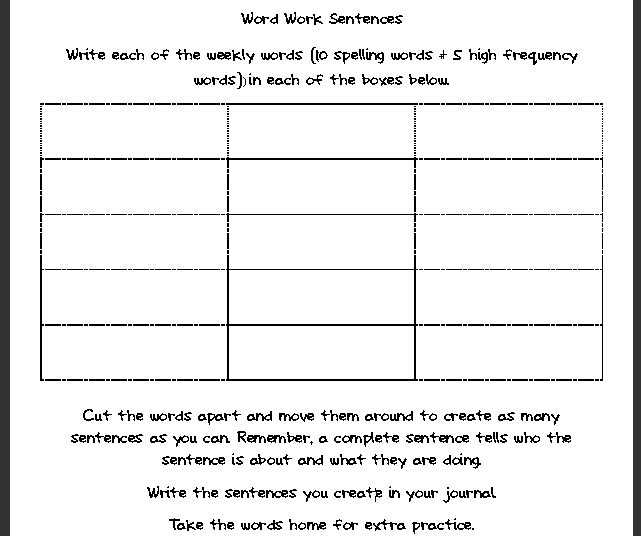 So, every week my students will have 10 spelling words, plus the next five words from their own high frequency word lists...I am really hoping to have a parent volunteer come in on Fridays to assess each student on their 5 high frequency words, I am not sure how I will make it work without parent help...I will not be giving spelling tests on the weekly word list. I hope this makes sense, if you have any questions or suggestion please feel free to share them! super cute! You are so creative!!! Thanks, I am having fun trying to make some school activities a little more exciting for my students. I love your blog background. So cute, and thanks for the Word Work, will totally help. Thanks for sharing your Word Work activities! I was unable to download the Word Work Sentences form. When I clicked on it, it just showed a picture of. Could you email it to me as an attachment? I also have Google Docs if you want to send it that way. 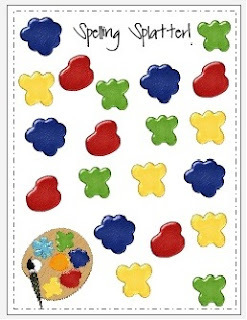 I love your worksheets and games. Thanks for sharing. You mentioned not testing them on their 5 words and needing a parent to help and asked for ideas. Is this something where they could quiz each other: say on Monday when they are getting their extra 5 words maybe they could each write them on a 3x5 card with their name on it. Before the test on Friday you could match up cards in pairs or who they sit near. Then at the end of the spelling test they could quiz each other - maybe even verbally and the students could mark on the cards the right or wrong ones their partner got. Another thought is to write down their 5 words from memory... like you would give the 10 spelling words and then say now write down your 5 high freq. words you've been working on this week. They would need to memorize the words and the spelling which could be tough.